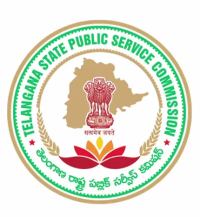 TSPSC Group 4 Syllabus 2018: Telangana state public service commission has released GROUP IV Services recruitment notification to fill the 1521 Vacancies in Telangana State. All the Eligible candidates can check TS Group 4 Syllabus PDF, scheme of exam and download syllabus of Paper 1 & Paper 2 to get good score in the examination. A test in “Proficiency in Office Automation with usage of computers and associated software” shall be conducted in terms of the orders issued in G.O.Ms.No.133 and 134, GA (Ser.B) Dept., 12.5.2014. Note: The candidates shall be given the text/matter in the Question Paper and they must type/reproduce it in the Answer Sheet. The formatting of the text should also be of the same type as given in the Question Paper. b. Add row, column to a table c.Changing column width and row height. 10. Enter formulae for calculation in the cells. 11. Copying the formula over a range of cells. 12. Inserting built-in functions in to the cells. 13. Create graphs for the data using Chart Wizard. INTERNET 1. Browse the Net using Browser software (Internet Explorer, Mozilla Firefox, Google Chrome etc.,). IAM studied 10th class.iam 19 years.my caste is BC – A .my hope is to get a good government job.is there any eligibility to get a government job to me on after getting good marks in groups exam. How to prepare for proficiency test will they concduct this on the same day of the examination?? How to prepare for proficiency test?? Will this be on the same day of examination?? My name is naveen. English typing lo naku higher certificate vundhi. Telugu ku yekkuva priority estaranta. Naku telugu ledhu. Apply iythe chesanu. paper 1 and paper 2 are conducted on same day? paper 1 & 2 are they conducted on the same day ?